This is why so many experts recommend foods that are believed to be healthy for your thyroid while ignoring the overwhelming evidence showing how dangerous they really are. 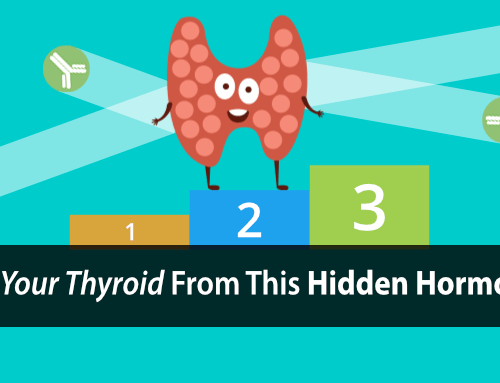 You see… foods in general have a huge impact on your thyroid health. …from your thyroid gland all the way down to your thyroid hormone cell receptors and even the mitochondria of your cells. 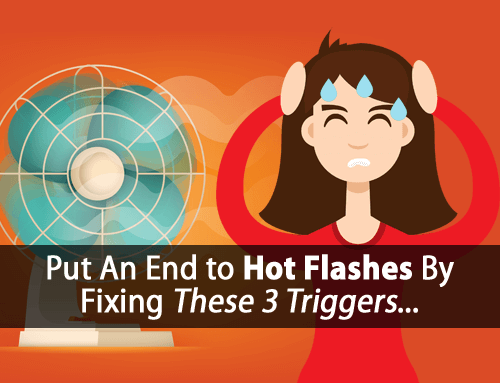 I talk more about your thyroid hormone pathway and how you can overcome your hypothyroidism by fixing it in this post about “How We Overcome Hypothyroidism When All Else Fails”. 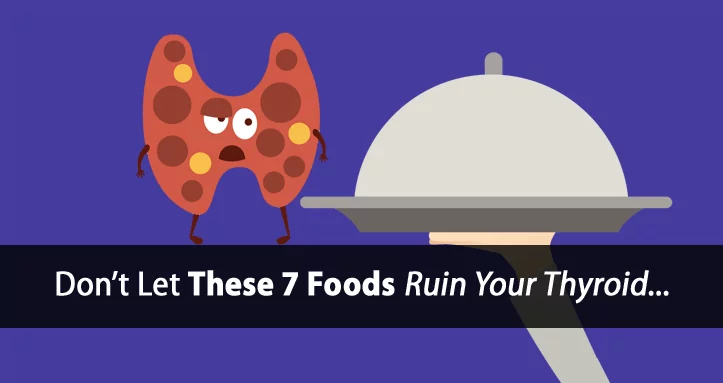 Today, however, we’re going to be looking at 7 foods that directly suppress your thyroid gland. They block the production of thyroid hormone inside your thyroid gland. They block the release of thyroid hormone from your thyroid gland into your bloodstream. You still need to avoid foods that directly suppress your thyroid gland regardless of any benefit you feel they might provide. Otherwise, it will be like trying to fix a small leak only to flood your entire house. It doesn’t make sense to solve one problem only to create an even bigger problem in the process. And this is especially true for this first food to avoid with hypothyroidism. 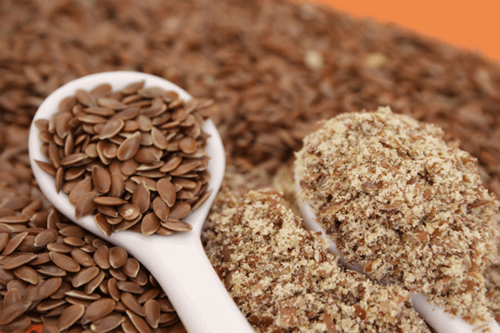 Flaxseed is a commonly recommended and used dietary supplement today. 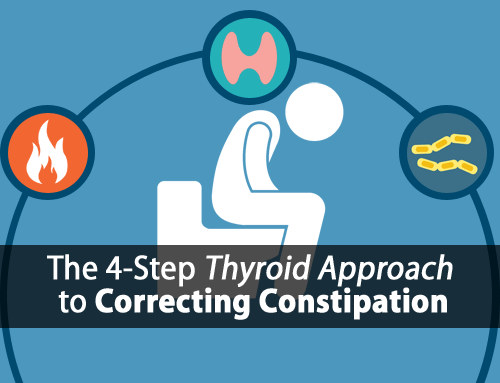 It’s most often used for constipation (a common hypothyroid symptom) and touted for many other supposed health benefits. But what you might not realize is that flaxseed contains very large amounts of lignans and phytoestrogens, making it one of the most estrogenic foods around. Chemical studies of phytoestrogens and related compounds in dietary supplements: flax and chaparral. This is a big problem for your thyroid as estrogens directly inhibit the proteolytic enzymes that allow your thyroid gland to release thyroid hormone. So, while it might help your bowels become more regular, you’re still doing a major disservice to your thyroid. And if you think all those omega fatty acids are helping, then you’re in for treat with this next food too. 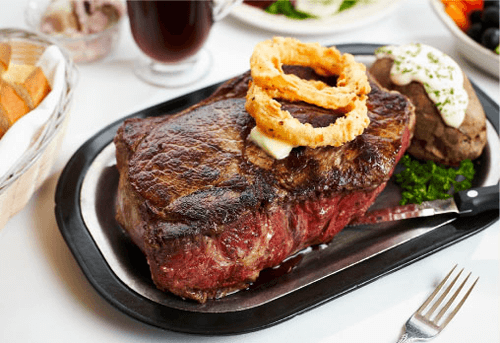 While these polyunsaturated fats are known to suppress thyroid function at all levels of your thyroid hormone pathway, their direct effects on your thyroid gland are similar to that of estrogen. We often recommend certain fruits for their thyroid protective effects. In fact, in the 3 Food Triple-Thyroid-Boosting Daily Protocol, I show you one of the most important fruits we use to boost thyroid function. However, it’s important to note that not all fruits are created equal. 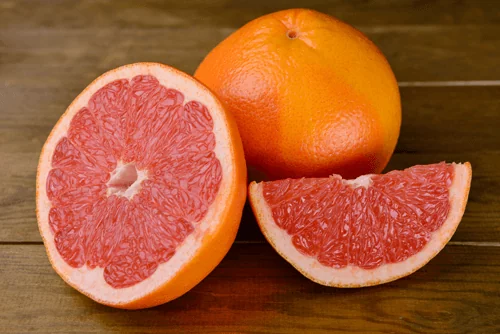 And grapefruit is a perfect example as it contains very high amounts of estrogenic flavonoids that interfere with your liver’s ability to detoxify estrogen. Inhibition of 17 beta-estradiol metabolism by grapefruit juice in ovariectomized women. Many have been led to believe that grapefruit or grapefruit juice is a healthy alternative to other citrus fruits, which is a common mistake. While adequate protein is essential for healthy thyroid function, the type of protein can make all the difference. Muscle meats, for example, tend to be rich in certain thyroid suppressive amino acids such as cysteine. And research shows that over-eating these amino acids can block the production of thyroid hormone inside your thyroid gland. But this isn’t to say that you should avoid muscle meats, as a lack of protein is far more thyroid suppressive than an overabundance. 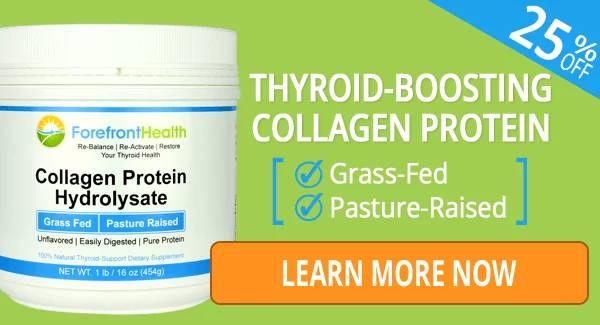 The goal is to balance the muscle meats you eat with other sources of thyroid-supportive protein such as broth or collagen protein which contains little to none of these thyroid-suppressive amino acids. You can learn more about the collagen protein powder we use with our clients by clicking here. While soy is still often touted as a health food by many, more people are becoming aware of its dangerous effects. 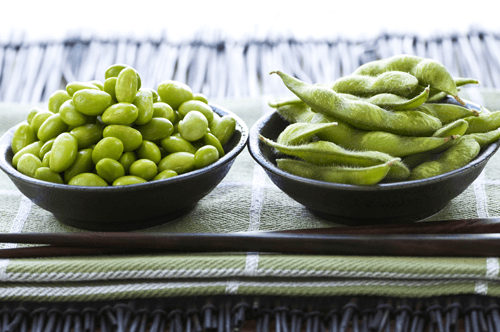 Soy contains very large amounts of isoflavones and phytoestrogens, making it another highly estrogenic food that directly suppresses the thyroid gland. And in doing so, it can directly block the release of thyroid hormone into your bloodstream. As you can see from this study… estrogen’s effects on blocking the thyroid gland is one of the most common causes of goiter (enlarged thyroid gland) today. 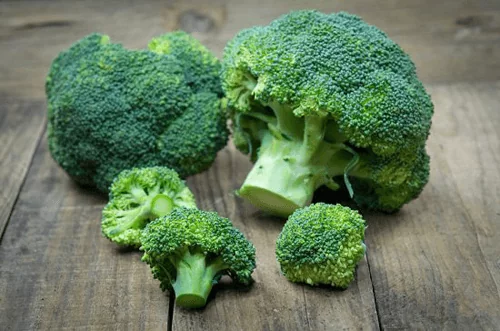 Cruciferous vegetables are commonly over-consumed today and can also be extremely thyroid suppressive. And it’s their goitrogens and plant toxins that are well known for their suppressive effects on your thyroid gland, which occur in two ways. They contain Isothiocyanates and Thiocyanates which make it more difficult for your thyroid gland to absorb the iodine it needs to produce thyroid hormone. They contain Oxazolidines and Thioureas which directly block the production of thyroid hormone by your thyroid gland. While most people do cook these vegetables, it’s oftentimes not adequate to make them safe. 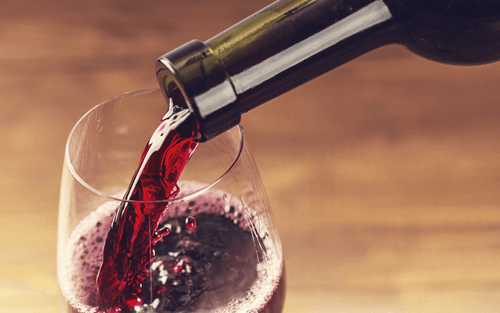 Alcohol is another thyroid suppressive food that doesn’t get the attention it deserves. While it’s consumed in many forms, and can provide some antioxidant benefits, it also doesn’t take much to raise estrogen levels and suppress your thyroid gland. Promotes the conversion of testosterone to estrogen through aromatization. Decreases progesterone production while increasing prolactin. Those are seven commonly used foods to avoid with hypothyroidism. …avoiding all the thyroid suppressive foods out there is only one part of the solution. Another big part of the solution is to instead focus on foods that help boost thyroid function while balancing them properly in your diet for optimal thyroid function. 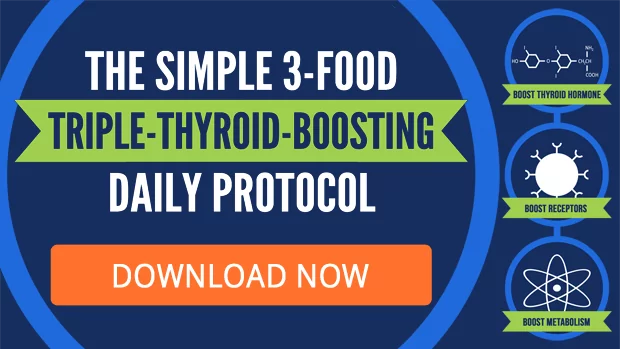 And in the 3 Food Triple-Thyroid-Boosting Daily Protocol, we’ll show you the exact detailed protocol and the three simple foods that can help give your thyroid the boost it needs. It’s a simple protocol used by each and every one of our clients and it can help you to start feeling calm, clear, and full of energy. If you’re not already using it, then you should get started today and see the difference it can make. I have avoided these and appreciate learning awhile back from you,Tom. I enjoy your book and use for recipes and my simple syrup. I use gelatin powder daily, for protein. I sleep until I wake, most days. I did eat the things you mentioned before I knew I was hypothyroid. Yes, I enjoy organic coffee, with Great Lakes gelatin, simple syrup and 2% in the morning. Headed to get a cup now! You are a great resource. Thank you!!! Should someone without a thyroid and who is taking desiccated thyroid also avoid these foods? Hi Robyn, this article was more in reference to looking at the direct effects on the thyroid gland but many do suppress thyroid function in other ways, i.e. at the liver. My understanding was that cooked/streamed broccoli and cauliflower are okay but that they should not be eaten raw. Can anyone clarify this? Yes, they should be avoided for optimal thyroid function regardless of medication. This is my area of interest too!! I have just had to have my last bit of thyroid removed due to nodules. I am also vegetarian and wondering if there is a substitute for the bone broth. I am now on Euthyrux. 2 months into treatment.. I must say that the change in diet i.e. orange juice. poached eggs,fried potatoes (In Coconut oil) and medium roast coffee is so far proving to be very effective. Energy levels for the day have improved so much and no bloating, I keep finding what effects me during the day. and eliminating it accordingly The green salad,brocolli, beans and legumes have also proved to have a huge negative effect. So excited about finding out more. Hi Jean, that’s great to hear! Thank you Tom. But broccoli when cooked should still be ok? is cancer fighting too. best oil is cococut and virgin olive oil? I talk more about the cooking of broccoli in the article referenced on that.Grapefruit wouldn’t be the best for a smoothy. And coconut oil would be preferable. BTW are those foods the same for Hashimoto? I avoid PUFA’s and use only clarified butter and cooconut oil. Can I use also cocoa butter in my diet? My TSH improving each month: 5.5, 4.7, 3.7 and 2.7 now. Hi Tomasz, you can as it’s predominantly saturated fat with some monounsaturated but very little PUFA. I have been told to use fish oil and krill for its anti blood clotting benefits and other health benefits like improving mood and joint health. I did not realise they are PUFAs and if I understand you correctly, not only bad for the thyroid but bad for preventing blood clots? So hypothyroid people should only use butter and coconut oil? Hi Ellena, no that was in reference to the breaking down of clots that already exist. I have Hashimotos and now hypothyroid with nodule. I’m also on hormone replacement meds. Should I come off those? I take Armour and am gluten free. Trying to do what I can for thyroid. Hi Jeanne, those questions depend a lot on your specific case so there’s no general answer that can be given. If this is something you would like to discuss in more detail through a consultation, you can contact support@forefronthealth.com to set that up. Hi Tom.. friend asked me how much broccoli per WEEK is permissible? My question too. she eat 3x week cup full. Unfortunately there’s no good research that shows how much if any is safe. I understand from this article you say to avoid fish oil, which most people have already switched from I would think due to the fish burps, however, what about eating fish itself? Also, do you have recommendations on how much animal protein is appropriate and what to eat as alternatives- maybe chia and hemp seeds or almond butter? Also, what about organic or grassfed whey protein? I understand finding a clean source may be an issue now too with who knows how much radiation fallout we are still receiving from Fukishima. Hi tom Iv been drinking the occasional organic apple cider is this an ok form of alcohol? Interesting read and very thought provoking. Would you suggest avoiding these foods even once you are are Levothyroxine? Must understanding was at this point the Thyroid has given up working anyway, so therefore would avoiding these foods still be beneficial? Hi Sandie, yes and for many reasons. Thyroid medications doesn’t shut down the gland completely but more importantly these foods also suppress thyroid function at other parts of the thyroid hormone pathway, i.e. your liver. I would like to know where to set up an consultation appointment? Hi Kathy, send us an email at support@forefronthealth.com and we’ll be able to help. When you say fish oil, you mean an omega supplement? Just want to clarify. I have been taking Green Pastures FCLO for almost a year. Is this sabotaging my thyroid? Also, is parsley considered a cruciferous vegetable? Thank you in advance. Hi Patti, that’s correct. I’ve written about some of the harmful effects but not all. For example: http://www.forefronthealth.com/fish-oil-and-heart-disease/ I don’t believe parsley is a cruciferous. Thank you so much! I’m sure you can guess that in my journey to be healthy- it is very frustrating to find out that I am sabotaging my own efforts! I really appreciate the information. MY TSH IS 7.2 AND I HAVE IRREGULAR PERIODS.i HAVE STARTED CONSUMING FLAXSEED POWDER.SHOULD I AVOID TAKING IT? 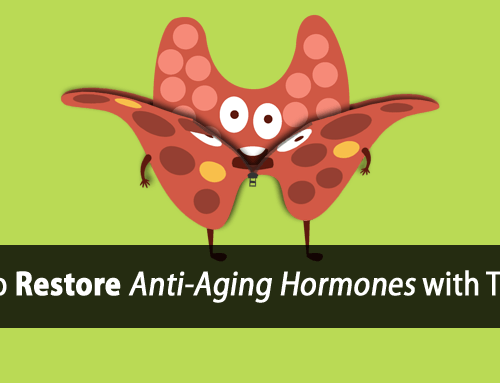 Progesterone (not estrogen) should be used to regulate the menstrual cycle. Chronically elevated stress hormones suppress TSH without improving thyroid function. Concerning your Collagen Protein Powder, does it contain any fillers, preservatives, or artificial ingredients? The collagen contains nothing but pure collagen. It contains nothing else, no fillers, preservatives, or any other ingredients. Like all of our materials, it does go through third party testing. It’s not irradiated either. It’s produced using an enzymatic process. Hi Tom! I read your complete online book and exercise manual this summer and have abided by it pretty well. I had another scan of my thyroid and no growth and only water filled nodules that come and go. I have taken your words seriously about the diet/no alcohol (maybe two times a month a small drink), have started walking and stopped running, and drink salted orange juice at bedtime. My blood test said I am no longer hypothroid! Also take your supplements. Thank you for all you have done. If people stop questioning what you suggest and just do it they will see results. Hi Haven, that’s great to hear and thank you for the kind words. 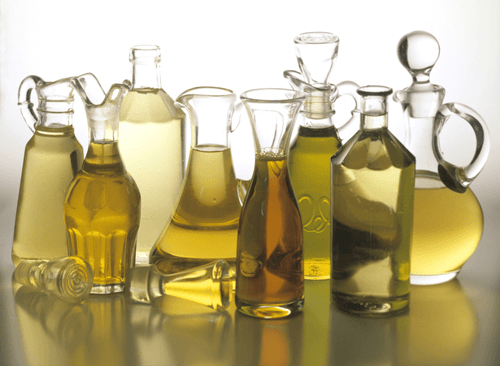 Том, What can you say about cedar oil? I can’t thank you enough Tom for what you are doing! Rescuing thousands of people from this terrible, completely misunderstood, condition! Thank you thank you thank you!!!!! Thanks for the article! Is there a list of foods that are recommended? How is it possible to get adequate omega 3s without fish oil or flax? Thanks for all of the great information you share, Tom. I’ve been feeling SO much better throughout the past year thanks to your advice.